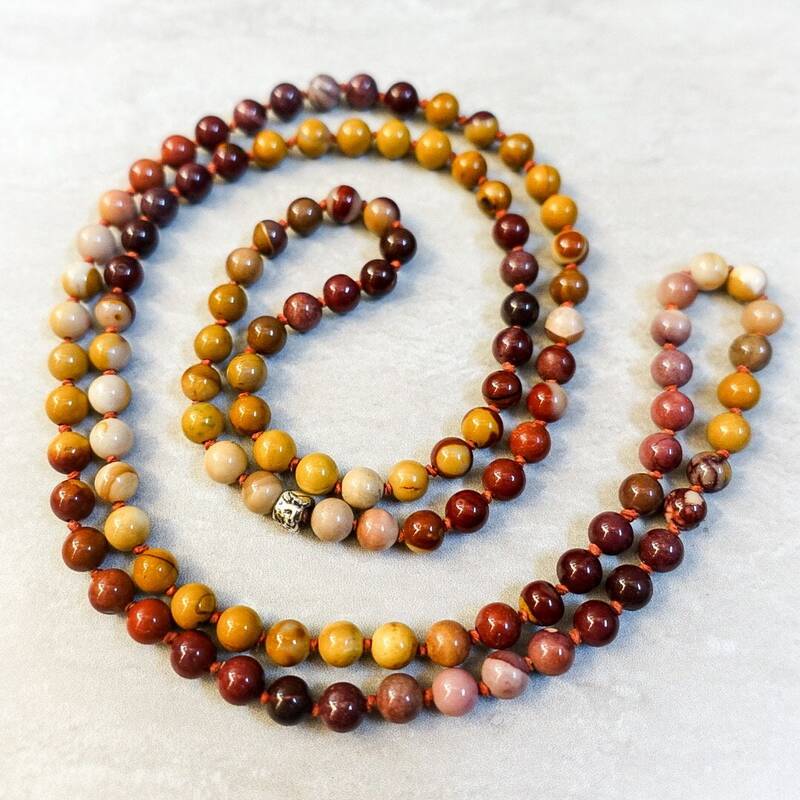 Mookaite is a beautiful, multicolored stone that resembles the beauty of a summer sunset. 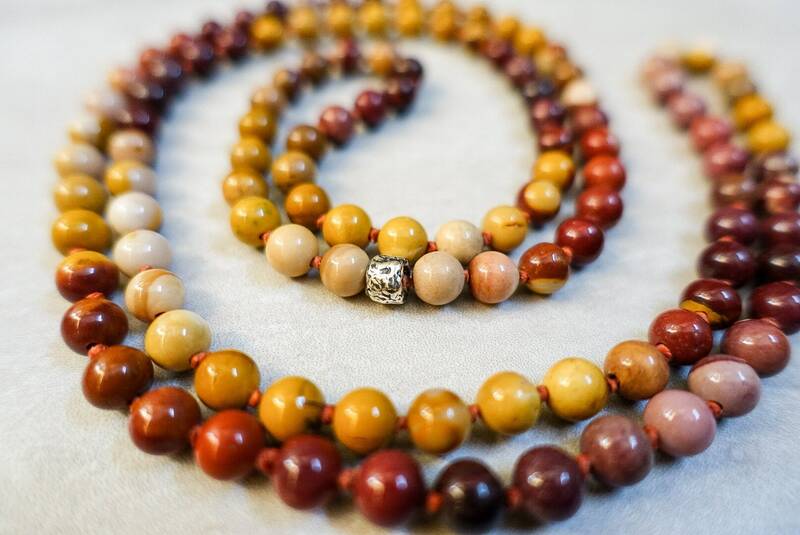 The deep reds, sultry mustards, and creamy whites of mookaite will help you to exhale negative toxicity, and inhale an appreciation for life. 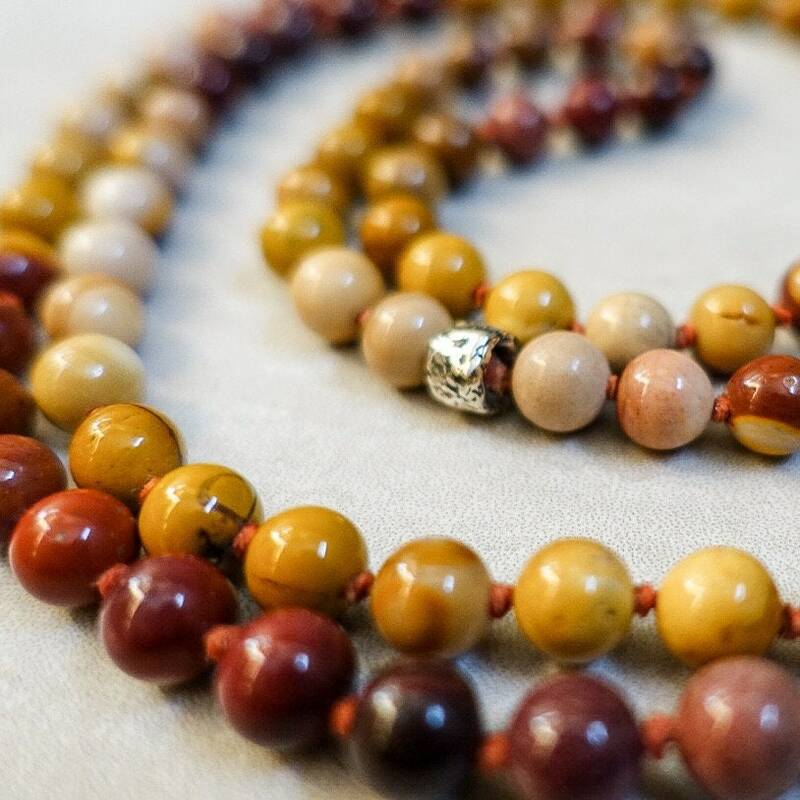 Live in the “here and now,” and wear mookaite as a reminder to embrace your creativity and flow of thought. The multicolored beads are separated by rust-colored, knotted Irish linen. 34 inches, $120.